Event takes place at 9:30 AM on April 26, 2014. DASH ("Different Area, Same Hunt") is a day-long, walking puzzle hunt. You'll travel around Portland to find and solve challenging puzzles simultaneously with teams in thirteen other cities. Read about last year's event! You'll start at Director Park (815 SW Park Ave) in downtown Portland. The hunt begins at 9:30AM sharp on Saturday, April 26th. Please arrive at least 10 minutes early to get your team checked in. We (Game Control) will be on site by 9:00 AM. See below for important information on what to bring! The ClueKeeper app, which will track your progress through DASH 6, will also enforce an 8-hour overall time limit for the event. We're starting at 9:30AM, so you'll have until 5:30PM to complete the hunt. But we hope most teams will finish well before then! What supplies will we need for DASH 6 in Portland? An Android or iOS device to run the ClueKeeper app. Make sure it's charged! You can use more than one device, but only one will be the "master" with the ability to enter start codes and answers. All other team devices will be read-only. Read more about how ClueKeeper works. After you download and install ClueKeeper on your device, enter hunt code WELCOME to start the tutorial. Your signed waiver. Every team member must sign the waiver! - This year, we're offering either a pitcher of beer of your choice or one appetizer of your choice. - If your team includes people under the age of 21, you’ll get one appetizer of your choice. The final location will have plenty of great food and drink available for purchase. We encourage you to partake! If you do not bring both a ClueKeeper device and a signed team waiver, you will be unable to participate in the hunt. Weather-friendly attire. Dress in layers and be prepared! If you have any questions, please e-mail [email protected]. Did you get my team's registration/payment? The entry fee is $40 per team, regardless of team size (we recommend no more than five people). Register now! Registration is now closed. How do we pay our team registration fee? If you would prefer to pay in person with cash, meet us at Puzzled Pint on April 8th. IMPORTANT: We need to receive your payment before the event date! 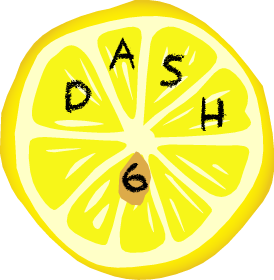 This year's DASH Portland organizers include experienced "Game Control" members from Team Snout, Puzzled Pint, and other local puzzling events. I can't wait for April 26th! Are there any other puzzle events happening in PDX before DASH? None that we know of, but you can browse the Puzzled Pint archives to practice your solving skills! Puzzles will be available after the game.